The thyroid gland contributes immensely to the basal metabolic rate, and hence, thermogenesis in mammals. Its response to the thermal environment is, however, slow and may require several days to adjust. A rapid thyrosuppressive mechanism (“Wolff–Chaikoff” phenomenon; WC) is inducible by high dietary iodine ingestion. The current study aimed to examine the WC on thermophysiology of rats exposed to acute heat stress (HS). Biotelemetry was used to assess real-time core body temperature (Tcore), locomotive activity (LA) and heart rate (HR) in rats (N = 12). Animals were randomly assigned to two treatment groups: a control (CN) group had ad libitum access to tap water throughout the trial; a second group (KI) received potassium iodide (0.5%) in drinking water, 3 h before HS. Climatic conditions during the 10-day experimental period were set to 4 days at thermoneutrality (TN; Ta = 23.60 ± 0.05 °C), then HS (Ta = 33.22 ± 0.25 °C, for 4 h) and finally back to TN until the end of trial. Serum samples were collected right after the HS, to measure free thyroxine (FT4), triiodothyronine (FT3) and total antioxidant capacity (TAO), from 12 other equivalent rats. The employed WC protocol alleviated HS impact on rats. Research on other mammals awaits further investigation. The thermal environment is a major factor that strongly affects animal performance, with climatic extremes inflicting severe deteriorations in feed intake and efficiency, growth and milk production due to aberrations in mammary gland health and the ability to synthesize milk within the udder , as well as reproduction and well-being of livestock . Subsequently, massive economic and health-associated losses and mortalities are often directly attributed to heat stress and estimated to be in billions of dollars annually around the world in the farm animal sector alone . Leading studies [4, 5] indicated that mortalities solely due to heat stress alone harvested 25,000 cattle heads and 700,000 poultry in the USA and Australia only. It is essential to accurately characterize thermoregulatory parameters when assessing animal sensitivity to thermal stress. 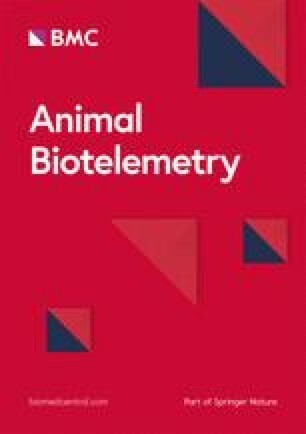 Animals attain thermal homeostasis by controlling core and peripheral blood flow , through evaporative cooling by means of increase in respiration rate (panting) and sweating , several behavioral mechanisms, in addition to multiple changes in levels of calorigenic hormones governing metabolic rate . Several attempts have been carried out to lessen the severity of heat stress in livestock and other animals. Naturally occurring endogenous adjustments of thyroid activity to acute heat stress has been shown to be slow in face of acute heat stress. In rats , it takes 14 days for thyroid hormones to start declining significantly following exposure to continuous HS (Ta = 34 °C), through determinant decline in hypophyseal thyroid-stimulating hormone (TSH). Contrarily, in pigeons , rapid thyroid adjustment does not occur in pigeons in response to sudden drop in Ta (from 21 to 10 °C). Therefore, faster tactics intervening thermogenicity are necessary to counteract suddenly upcoming thermal stress in mammals and birds. Demands for supplemental iodine arise to attain normal thyroid function. However, it was established that sudden excess of dietary iodine can actually induce a reverse effect known as the “Wolff–Chaikoff” (WC phenomenon) effect, in which the organification process of iodine, and hence thyroid hormone formation is instead suppressed [11, 12]. These effects, however, are rather transient and not sustained, since the animal soon develops an “escape phenomenon” and consequently returns to the euthyroid state . The objective of this study was to investigate the efficacy of the WC phenomenon in mitigating thermophysiological responses of rats exposed to acute HS. The trials are conducted at the on-campus Animal House Facility at Jordan University of Science and Technology, Jordan. Male Wistar rats (N = 12), with an initial body weight (BW) of 310.1 ± 3.6 g and age of 91.5 ± 4.0 days, underwent a surgical procedure to implant radiotelemetric transmitters (TA11CTA-F40, Data Science International, USA) linked to compatible receivers and operated by a data acquisition software (Dataquest ART, Bronze, DSI, USA). The system allowed real-time measurement (at 30-min intervals) of core body temperature (Tcore), locomotive activity (LA) and heart rate (HR) at once. In synchrony with the body thermal data, electronic data logger (Onset U12-014, HOBO, Onset Computer Corporation, MA, USA) was suspended at the center point in room at an altitude of approximately 1.8 m for the total duration of the experiments. The latter data logger was programmed to collect ambient temperature (Ta), relative humidity (RH) and illumination. Daily light regimen was maintained at a 12: 12 h dark/light cycle (18:00–06:00 h) during the experiment. Rats were individually housed in plastic shoebox cages (15 × 25 × 35 cm), for individual animal monitoring. Based on a series of pilot studies in our laboratory utilizing incremental doses (0, 0.05, 0.125, 0.25 and 0.5%) of KI (in drinking water) to rats either 48, 24 or 3 h prior to heat exposure, and it was refined that administration of KI at 0.5% level the same day 3 h prior to initiation of the HS challenge was successful in inducing the WC. Twelve rats were allowed a 14-day postsurgical recovery period, while maintained at thermoneutral conditions (TN; Ta = 23.80 ± 0.03 °C; RH% = 45.14 ± 0.12%) prior to initiation of the experimental protocol. Subsequently, the trial ensued (Day 0) and the TN exposure lasted for a period of four continuous days (Days 0 to 3; Ta = 23.60 ± 0.05 °C; RH% = 44.70 ± 0.21%) to establish a baseline. On Day 4, an acute heat stress challenge (HS; Ta = 33.22 ± 0.25 °C; RH% = 31.62 ± 1.03%) was imposed for 4 h (from 09:00 to 13:00 h), within an equipped climatically controlled chamber. Thereafter, Ta was lowered back again to TN (Ta = 24.51 ± 0.05 °C; RH% = 42.87 ± 0.19%) and maintained for five days until the end of trial (Days 5 to 9), in order to monitor the animals’ thermoregulatory mechanisms following the WC retraction. Animals were randomly assigned to one of the two treatment groups (n = 6). A control (CN) group had ad libitum access to tap water throughout the trial period, while the second group (KI) of six rats received 0.5% potassium iodide solution (KI, 95060, Santa Cruz Inc., Canada) in their drinking water, starting 3 h before the HS. To assure rats drank at least 30 mL of the water offered, water was retracted at 21:00 h each night, and then reoffered at 06:00 h the next morning throughout the baseline period and the day of the HS protocol. It was noticed—from previous pilot trials, and this present study—that the rats drank more than 60% of their overall daily water intake within the first 180 min of water admittance using this procedure. Parallel to the chronically instrumented animals, 12 other equivalent rats were treated similarly (n = 6) up until the end of the HS bout and were then immediately sacrificed for blood sampling (via cardiopuncture), in order to gain insight about thyroid hormone levels and total antioxidant capacity. Serum samples were harvested and stored at − 20 °C, until further analyses. Analyzed blood parameters were free thyroxin (FT4; ELISA kit Bio Chekh Inc, RN-50250, Foster City, CA), free triiodothyronine (FT3; ELISA kit, Bio Chekh Inc, RN-50242, Foster City, CA) and total antioxidant capacity (TAC kit, Cell Bio labs Inc, RN-92126, San Diego, CA). Individual rat BW was first recorded, for optimization of anesthetics dosages. A cocktail of xylazine-ketamine (xylazine hydrochloride 0.25 mg/kg BW, Adwia, Jordan; ketamine 0.4 mg/kg BW, Alfasan, Holland) was injected intraperitoneally. Upon initiation of deep sedation state (verified by lack of paw-pinch reflex), hair of the midline abdominal region was clipped, shaved, sanitized and sterilized using alcohol and diluted iodine solution, spiral rubbing (povidone iodine 1% free iodine, Al-Eiman, Jordan). Each rat was kept at a dorsal recumbency position to expose the surgical site using a sterile surgical drape and kept warm on a warming pad during the surgery to avoid deep anesthesia-induced hypothermia. To minimize potential surgery-provoked wound complications, all rats were prophylactically administered a 14-day antibiotic course starting 4 days before surgery; hipralonaenro-s (10 mg of enrofloxacin/kg BW, Hipra, Spain) in drinking water. To alleviate postsurgical pain, rats received Ibugesic (10 mg of ibuprofen/kg BW, Dar Al Dawa, Jordan) in drinking water (Ibugesic 6.5 ml/L) for 5 days and wound rubbed by Fucidin (Fusidic Acid, Ph. Eur, 20 mg/g, LEO, Denmark), diluted iodine solution and hydrogen peroxide solution (10%) whenever needed, during the postsurgical recovery period. Each rat was fitted with custom-made Elizabethan collars for the first 7 days postsurgery to avoid disruption of the sutures by the rats. A vertical abdominal midline incision (maximum of ~ 2 cm) was made with a scalpel, nearly 1 cm below the diaphragm plane, carefully penetrating the skin and the muscular layers. The peritoneal layer was then gently perforated with blunt end hemostat, making a single slit opening just enough for internalization of the transmitter. Then, the transmitter was inserted (in a sagittal plane), with its center sleeve sutured to the inner abdominal wall and affixed in place (intraperitoneal) using three interrupted sutures. Two lateral blunt perforations on the sides of the incision through the muscular body wall were made, in order to pass the 2 HR leads. They were extended and positioned at a 45–60° angle transverse of the heart plane, with the negative lead stationed at the upper-right subclavian region, while the positive lead at the left lateral side of the abdominal subcutaneous site. Both leads were each sutured to the subdermal layer. Body temperature data were analyzed by split-plot analysis of variance for repeated measures  using mixed procedures of statistical analysis system . The main plot consisted of the treatment, while the subplot contained time by treatment interaction. The random variable animal (the experimental unit) within treatment was used as the error term. Two covariance structures were first compared in each analysis, compound symmetry (CS) and autoregressive (AR), and then, the covariance structure with the largest Schwarz Bayesian criterion (SBC) value was used . Data were displayed as means ± 1 standard error (SE), and significance was declared whenever the associated P value was ≤ 0.05, unless indicated otherwise. A total of 1440 physiological readings (Tcore, HR and LA) per rat were biotelemetrically recorded throughout the experimental period. No animal health-related abnormalities or complications resulted from any of the aforementioned procedures. Furthermore, no alterations in terms of body weight change, feed or water intakes (data not shown) among treatment groups were found due to the treatments, throughout the trial period. As shown in Fig. 1a), no intertreatment dissimilarities occurred in terms of Tcore values during the first 4 days while kept under TN conditions, with a pooled mean Tcore of 37.60 ± 0.02 °C. Likewise, both LA and HR responded similarly (Figs. 2a, 3a) in both animal groups within this very same phase (pooled means of 2.24 ± 0.06 arbitrary units and 317.87 ± 1.5 beats/min, respectively). However, repetitive circadian rhythms were evident, in all animals alike (time effect; P < 0.01), for all three physiological parameters. Those nycthemeral patterns were consistently biphasic, with rising tendencies taking place toward the nighttime (after 18:00 h), while falling precipitously to their nadirs with the approaching of daytime (after 04:30 h). Furthermore, brief spiking rises occurred consistently between 08:00- and 10:30-h animal handling, when the animals were kept at TN (Figs. 1a,c, 2a, c, 3a, c). On Day 4 (the day of acute HS protocol implementation), Ta culminated by more than 7 °C within 30 min (by 09:30 h), from TN levels to 31.00 ± 0.25 °C, and was stabilized at no less than 35.74 ± 0.25 °C until 13:00 h. This rapid switching of Ta resulted in pronounced rises in Tcore (Fig. 1b), particularly (P = 0.03) in the CN rats. Peak Tcore reached maxima in both treatment groups 3 h following the HS initiation (at 13:00 h), being significantly lower (P < 0.05; treatment by time interaction) in the KI than CN rats (38.90 and 39.44 ± 0.06 °C, respectively). With the termination of the HS exposure, Tcore fell sharply in both groups within 150 min by 1.55 (in the CN) and 2.51 (in the KI) ± 0.06 °C. Interestingly, the KI animals displayed markedly higher (P < 0.05) nighttime Tcore than the CN counterparts on the two subsequent days (Days 5 and 6) following the HS event, after which Tcore levels were insignificantly variable until the end of the trial (Days 7–9; Fig. 1c). When affronted with the acute HS on Day 4, LA of the CN group arose immediately and remained uniquely higher than in all other days of the experiment, and only fell down again after the HS session subsided. On the other hand, the KI-treated rats had a 2-h lag (treatment by time interaction; P < 0.03) behind their CN equivalents in terms of LA rise. Immediately (within 30 min of HS termination), LA in both groups fell sharply (sixfold decline) until darkness prevailed in the animal house (at 18:00 h), according to the lighting schedule. Remarkably, the KI group remained less (P < 0.05) active for the next morning of Day 5. Responses of the HR to treatments were further extended more than those of the Tcore and LA, such that the KI animals exhibited tachycardia on the same day of HS and maintained higher (P < 0.05) daytime (but not nighttime) HR values than the CN group, up until the end of Day 7 (nearly 72 h following the KI brief treatment; Fig. 3b, c). By Day 8, nonetheless, the KI group exhibited a rebounding daytime bradycardic response. Finally, on the last day (Day 9), no intertreatment differences (P > 0.05) were detected in HR values. As shown in Table 1, the KI group showed marked declines (P < 0.01) in circulating FT3, with only numeric (P = 0.23) fall in FT4, following the potassium iodide intake and HS exposure, as compared to the CN animals. Additionally, assaying TAO revealed that the KI resulted in 19.9% improvement (P < 0.05) in total antioxidant potential than the CN group following HS. Similar to other homeothermic mammals, rats in the present experiment displayed circadian rhythms in Tcore, HR and LA parameters. These repetitive oscillations correspond to external cues (thermal environment, light and the presence of personnel), and also to the internal biological clock . Owing to their nocturnal nature, rises in values of these biological parameters occur with onset of darkness and fall again when light is imposed [17, 18]. Additionally, any routine handling procedures around the animals, such as feeding and weighing, tend to alter their aforementioned parameters . Such typical responses were evident in both animal groups, throughout the TN phases. Yet, disruption of these characteristic patterns ensued during HS in both treatment groups, and in the KI rats afterward, when the acute HS regimen was imposed. In rats, the upper critical temperature (UCT; Ta between 28 and 32 °C) is defined as the ambient temperature above which a significant increase in evaporative cooling occurs in order to offset the elevated heat gain for the purpose of maintaining homeothermy . The Ta level reached in the current trial (Fig. 1b) during the acute HS episode was well beyond the UCT and resulted in clear signs of thermal stress, in both treatment groups, but at variable magnitudes (P < 0.05; treatment by time interaction). Generally, HS elicits two defensive mechanisms: (1) maximizing heat loss and/or (2) minimizing heat gain. These two parallel processes incorporate harmonized physiological and behavioral mechanisms. On the long term (several days), this involves—in part—repressing metabolic thermogenesis, primarily by downregulating the thyroid activity, and hence dropping circulating T4 and T3. Yet, in the present sudden HS exposure, instant thyroid hindrance would not be normally possible. This was the essence of our rationale, that is, instantly and reversibly suppressing the thyroid, by employing the WC phenomenon to intervene HS-provoked hyperthermia. It is worthy to point out that the thyroid gland acts as an “oscillator” of multiple transcriptomes, and hence, key metabolomes at different cellular levels [20, 21]. It has been revealed that ultradian rhythms (repetitive cycles occurring within less than 24 h) of thyroid activity take place in mammals to drive downstream metabolic responses (e.g., body temperature) with such relationships following a “single limit” cycle. Such eloquent model has been depicted by computerized mathematical systems from metadata of thyroid hormones . It is believed that the clock gene is the primary regulator of such responses, even in ex vivo cell cultures . The KI-treated animals exhibited a moderated hyperthermic response (lower Tcore between 11:00 to 13:30 h), in comparison with the CN counterparts. In light of our finding, that the KI treatment did induce a significant drop in FT3 (Table 1; in the un-instrumented rat group), along with the alleviated hyperthermia in the biotelemetered rats (Fig. 2b), support our hypothesis that the WC effect was indeed implemented, and furthermore, aided in improving the thermal status rats under the sudden HS wave. During the 4-h HS bout alone, rats from both treatment groups drank similar amounts of water (78.8% of BW), with the KI animals found to have received an equivalent of 39.1 mg potassium iodide/kg BW. It is also noteworthy to point out that rats from all groups drank 37% more water than they drank on a daily bases while under TN conditions. All three measured thermophysiological responses (Tcore, HR and LA) displayed a form of ricochet pattern in the KI group, following the KI-withdrawal proceeding the HS bout (over the next 2–4 days). It is well established that when transient hypothyroidism occurs, levels of thyroid-stimulating hormone (TSH) by adenohypophyseal thyrotropes are, in return elevated, as a response for the shortfall in negative feedback ordinarily created by circulating T3 and T4. It is, therefore, believed that the rebound in the thermophysiological parameters was due to the potentially higher circulating TSH, so that when WC effect has faded, a contingent rise in thyroidal T3 and T4 likely took place, and therefore, drove the greater observed thermogenic response during the 2–4 subsequent days to KI-termination. Interestingly, nonetheless, the HR elevations in the KI animals were sustained for more than 72 h (Fig. 3c). In rats, evading the iodide overload within the thyroid’s thyroglobulin and overcoming the suppressive effect of the WC is known as the “escape phenomenon” and takes about 26 to 50 h . Yet, in certain scenarios of massive iodine uptake by the thyroid, another unique phenomenon known as the “Jod-Basedow” phenomenon  can occur, in which a state of prolonged hyperthyroidism prevails, and the escape phenomenon maybe disrupted. Our rationale behind usage of the WC was to rapidly hinder the thyroid in face of prominently sudden heat wave. Also, we have previously reported the immense reservations by animal keepers in using other direct thyroid antagonists to induce reversible goitrogenesis [24, 25]. The smaller KI dosages we used (in our previous pilot studies, preceding this trial; data not shown) were insufficient in rapid induction of the WC. Based on a thorough review of previous literature, it is imperative to emphasize that the KI dosage we used here (0.5%) was relatively pharmacological. However, others [23, 26] have used slightly lower doses, but for much longer periods of time (several weeks/months). It is also well recognized that the thyroid metabolism is heightened in states of short-term hyperthermia, due to the “van’t Hoff’s” effect . Collectively, taking into account these factors together, it is possible that the KI rats may have been on the verge of a Jod-Basedow state in the current experiment. This may explain the persistent tachycardia observed even after 3 days of KI stoppage. Association between raised thyroid hormone level and cardiac output (by both enhancing ventricular contractility and increasing HR) is well established . Thyroid hormones bind with β-adrenergic receptors coupled to G-protein and increase intracellular cAMP activity (the pertinent second messenger system) resulting in greater ventricular ejection fraction and, thus, reduced end systolic volume. In addition, peripheral vasodilation (decreased peripheral vascular resistance) proceeds this temporary hyperthyroidism and leads to elevated HR. Hyperthermia in animals is known to raise the activity of circulating free radicals and concurrently results in compromised TAO . The alleviation of hyperthermia by KI in the current experiment accompanied by resistance to TAO decline (as compared to the CN group) is consistent with our previous work  showing an improved antioxidant status in rats when hyperthermia (elicited by similar HS conditions) was mitigated. This suggests that the used WC protocol can enhance the animal well-being under acute HS conditions. Upon encountering HS, mammals usually lower their locomotive activity, as a means of reducing exertional thermogenesis. However, we noticed in this experiment that rats during the acute (relatively brief) HS were actually more active. Based on our direct and close visual observations during the HS event of the rats, this activity was strictly focused on frequent water drinking, usage of provided drinking water to wet their paws, tail and head. All rats also sprayed their urine on the previously mentioned body parts. These thermolytic behavioral patterns were episodic, such that rats would indulge in wetting, and then lay on their backs and extend their bodies and limbs to cool off the paws (by means of evaporative, radiative and convective heat loss). Knowing that rats do not have heat-activated sweating process, such behaviors have been reportedly addressed for the purpose of maximizing cutaneous evaporative heat loss when exposed to HS [19, 31, 32]. Correspondingly, links between behavioral thermoregulation to higher Tcore have also been proven , as well as formerly by our research group . It is also worthy to point out that the paws and tails of the thermally stressed rats appeared more reddish, clearly signifying greater blood shifting from deep splanchnic to more peripheral body sites, so as to dissipate the extra heat load [19, 32, 34]. To the best of our knowledge, this is the first report on the use of Wolff–Chaikoff mechanism for the purpose of alleviating acute heat stress impact on mammals. However, based upon the delayed carryover effects observed on cardiac activity, care must be carefully taken when applying the WC along with HS. More research is also needed to check whether the employment of the Wolff–Chaikoff effect would be also beneficial in mitigating thermophysiological responses to successive heat waves, in rats and other mammals as well. The authors contributed to this research at variable magnitudes: HA-T contributed to experimental design, research protocol planning, data analyses and interpretation and manuscript writing; also animal surgeries, supervision of all animal field work as well as laboratory analyses; to setting up the biotelemetry system, and monitoring. AA-D contributed to data analysis and manuscript writing. ZM contributed to assistance in animal field work, laboratory analyses and manuscript writing. All authors read and approved the final manuscript. The authors sincerely thank the Deanship of Research at Jordan University of Science and Technology for generously funding this project. Pertinent data of this research project can be freely made available. This project was pre-approved by the Animal Care and Use Committee (ACUC) and granted the acceptance as it was fully compliant with the ACUC guidelines (# 10-2014). This project was funded by the Deanship of Research at Jordan University of Science and Technology (Grant Number 10-2014).